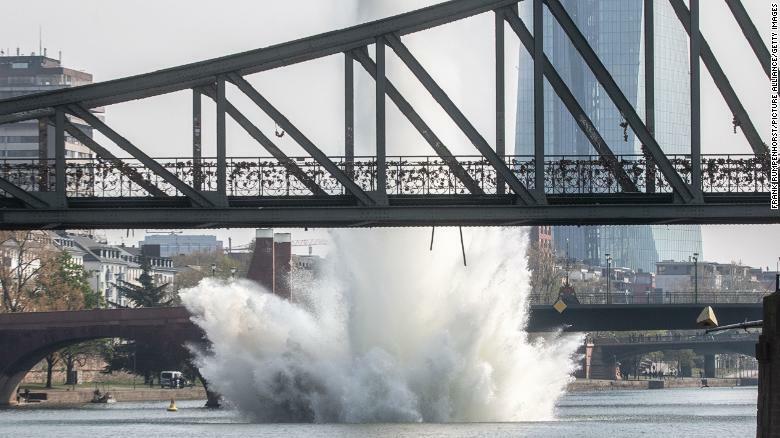 The 250-kilogram (550-pound) bomb was discovered in Frankfurt's Main River, a tributary of the Rhine, on Friday. Around 600 residents were evacuated as bomb disposal experts detonated the bomb early Sunday. Water shoots out of the Main River as the bomb is detonated.